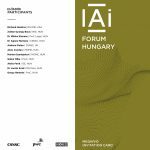 The second annual conference of the Artificial Intelligence Forum Hungary took place at the EIFFEL Palace, in Budapest on Wednesday 5 December 2018. 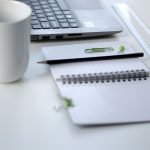 Following on from the success of last year’s event, the organizers were keen to maintain a schedule of pithy presentations and associated facilitated discussion and to that end a robust schedule was developed. The first segment of the conference focused on AI and the future of law enforcement, with an international panel addressing a number of topical issues ranging from crime prediction and AI-generated police response to the technical application of AI in the counter-terrorism field. The speakers acknowledged the force multiplier effect and utility of new forms of AI but were also quick to highlight potential drawbacks, such as subliminal design bias to well-known ethical considerations. One speaker in particular addressed the problems of the malicious use of AI and encouraged the audience into deeper consideration of how AI might foster personal security concerns through the interconnection of cyber attacks and critical network infrastructure, the use of biology and AI to create new forms of humans and subliminal influences on political discourse. The conference shifted to the question of legal regulation. A key element outlined the nature of legal thinking behind autonomous vehicles – a not insignificant subject given the commercial importance to research and development in this field but also the question of insurance liability, a discussion frequently in the media due to high-profile traffic incidents involving such cars. The conference also benefitted from a presentation on the nature and future of regulation, which drew on examples from the USA, the UK, Europe and China. Regulation concerning data management and its exploitation and of course privacy, were a constant thread throughout a lively discussion on what role regulation might have should – as it seems likely – governments will seek to regulate big global technology firms. Following lunch, the participants joined into a spirited discussion on a very topical subject, namely the embedding of ethics in design. A number of speakers approached the subject from different directions, including how companies can benefit from adhering to a sensible set of protocols as regards the design and testing of new products, the problems of avoiding bias or systemic cognitive dissonance in design and a much wider concern about the possible negative societal future, should ethics be ignored in the dash for profit. Each and every one of the speakers in this section were frank about the potential pitfalls of unintended consequences but also stressed that decent design procedures, which acknowledged the potential for ‘blowback’, could mitigate the need for more draconian regulation in the future. The concluding segment – the exploitation and benefit of medical AI – highlighted two key areas. Two speakers clearly established that AI had a role to play in medical provision and in a number of critical functional areas such as screening and diagnosis. Interestingly, however, research provided by one speaker demonstrated that although economically, medical AI was a necessity, there were still significant sections of populations globally that seemed resistant to medical treatment being administered by a machine. Remaining on the theme of limited medical care, another speaker provided an excellent overview of how national military medical services might, during an emergency, support the civil authorities, especially in light of a possible situation related to a major medical crisis. AI might have a role in monitoring future public health situations as well as offering attractive alternative medical diagnostic support in medical crisis in dangerous locations at home and abroad. The conference ended with numerous calls for the deeper investigation of several of the issues that arose, including the future of AI regulation, the ethical dilemmas of biological and AI-enabled life and security, safety and society. The organizers will undertake to determine how best to pursue such special interests as well as continue to monitor Hungary’s preparedness to absorb new AI developments. It is always particularly gratifying to launch a new initiative and see it succeed and credit for this must go to the many speakers and participants who gave of their time and expertise to make this second conference such a success and lay the ground for next year’s event. 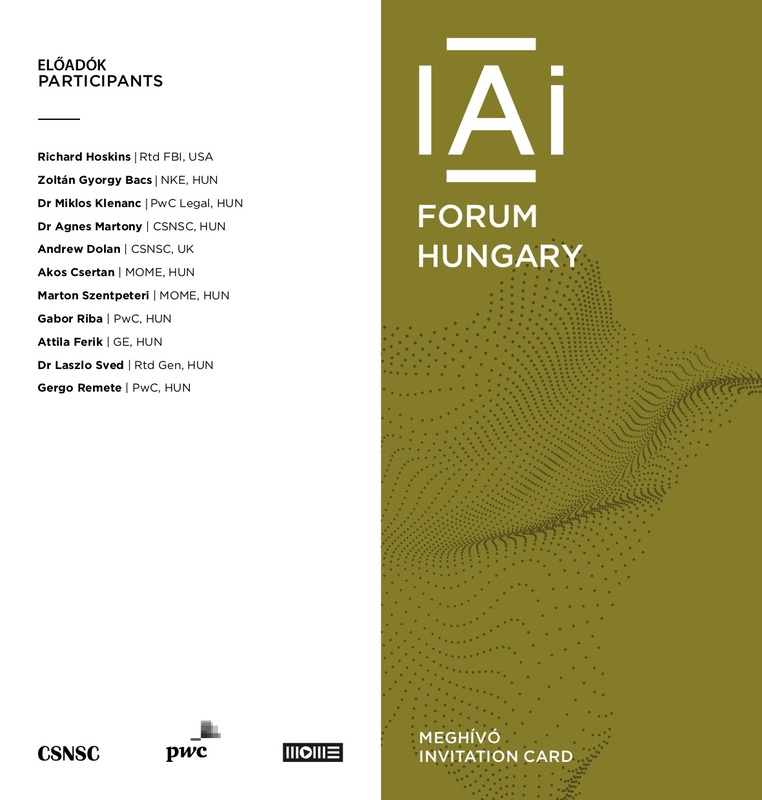 Hope to see everyone again in next December at AI Forum Hungary 2019! The Centre for the Study of New Security Challenges. 1062 Budapest, Aradi utca 11. II/1. © The Centre for the Study of New Security Challenges 2019. Allegiant theme by CPOThemes.